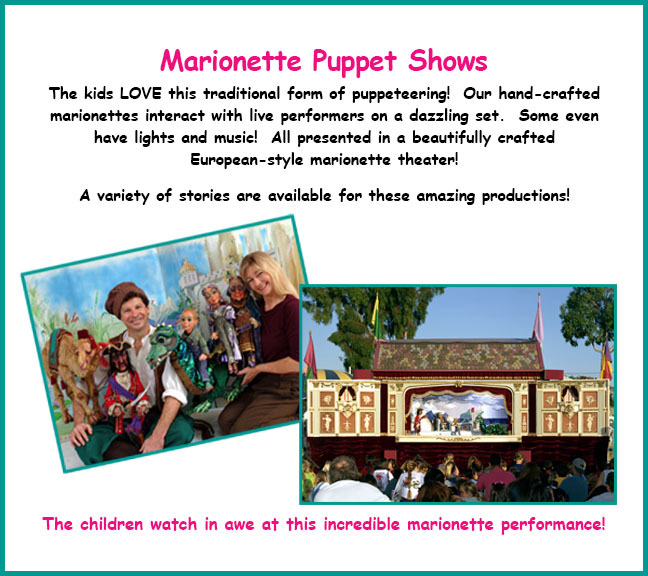 "The audience participated in a way I have not seen at any other puppet show!". Puppets are a ‘handy’ way to entertain the kids!! Need entertainment for kids 6 and younger? 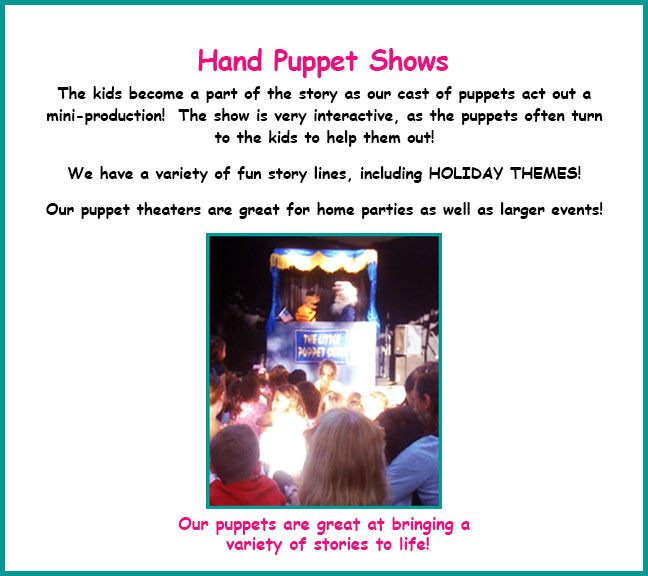 Our puppet programs are ideal. Interactive– the children become a part of the story and share the adventures with the puppets. 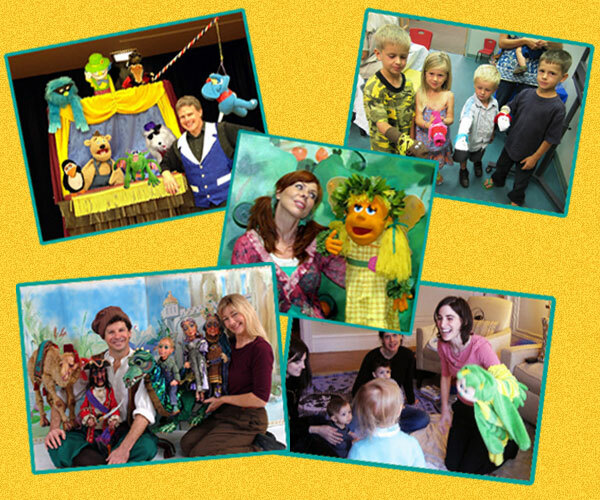 Engaging– our shows are designed with storylines that will captivate the children. 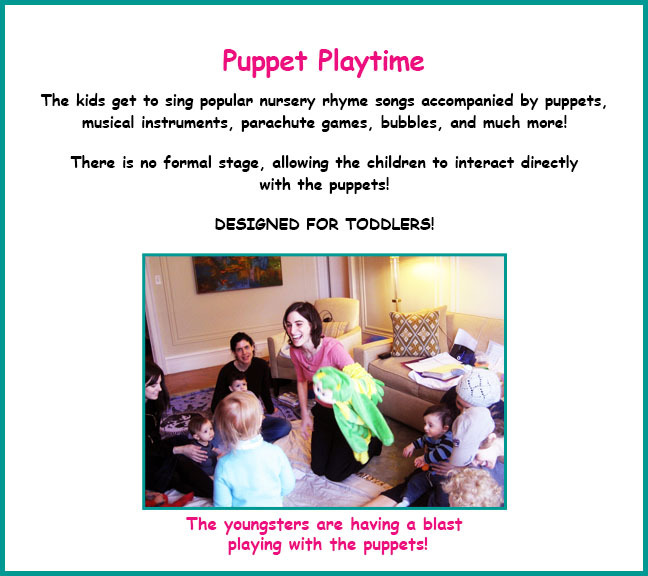 FUN– our highly trained staff of puppets are experts at entertaining kids! We have a HUGE variety of fun story lines, including HOLIDAY THEMES!! 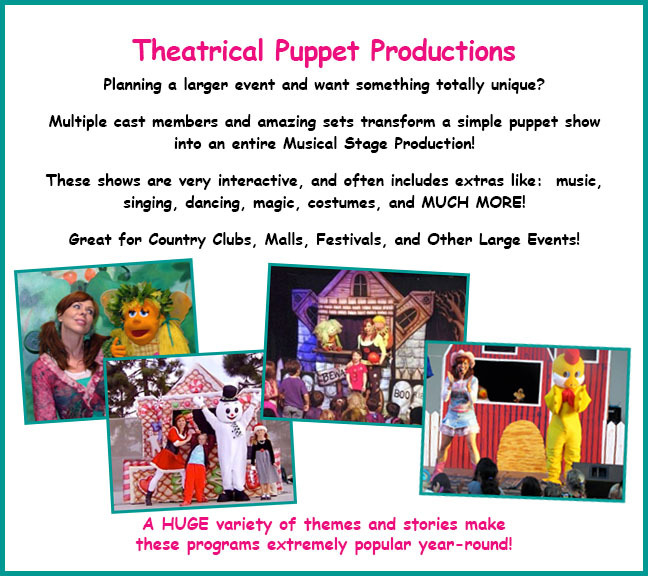 We have many Puppet Options to best meet your needs!